It’s no secret that IT leaders have many factors to consider when choosing the right infrastructure for the business. Organizations are often bogged down by security policies, budgets, and compliance requirements, as well as expanding workloads that require additional support. Private infrastructure is often considered when businesses inevitably reach the limits of their hard-wired and virtual infrastructures. But, implementing a private cloud infrastructure can be a daunting task. 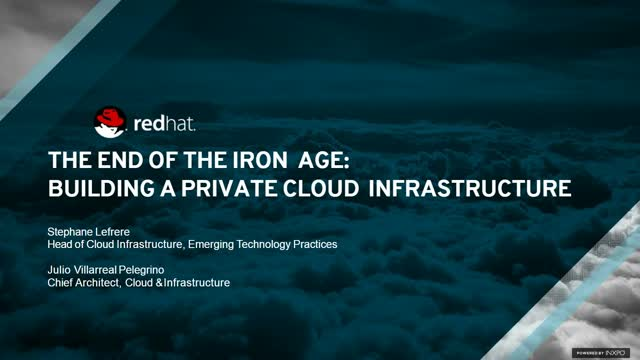 In this webinar, we’ll discuss the keys to successfully embarking on a private cloud journey and the benefits of creating a secure, modern infrastructure. - How organizations are using existing services and resources while transitioning to the cloud. - How you can use infrastructure-as-code concepts to provide self-service and automation for increased productivity and agility while reducing costs.